Commitment on any level can sometimes be just as difficult to achieve as it is to obtain. 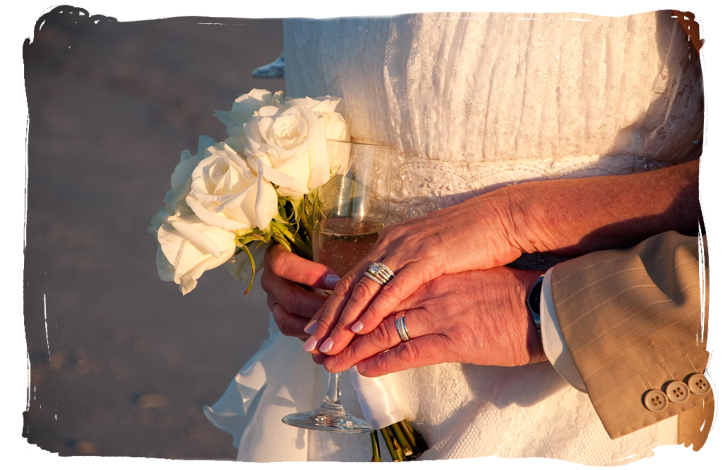 We may be seeking commitment from our love interest in the form of fidelity or from our partner in the form of marriage. We also may be looking to achieve more commitment from ourselves in regards to our goals or career. In either case we cannot force what is not coming on its own, however, we can sway the universe in our favor with the power of crystals. The dedication and motivation you require to gain commitment can be found in the fiery red passion of red colored crystals. Red is the color of passion, energy, and life. It motivates. It is a very strong color—the color of fire and blood. 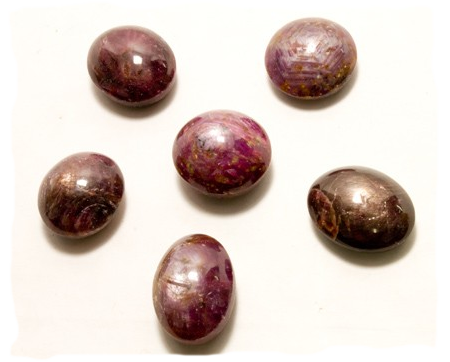 Red crystals are used when the situation needs passion: active, involved, energetic action. Red empowers, uplifts, and engulfs. It cures apathy. It gets things done. Red is action and drive. 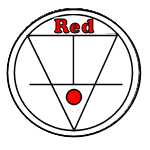 While the gorgeous rays of red crystals can bring you the passion and fire energy you need, when seeking out commitment for yourself or in others, a lighter shade of red such as pink, is the most effective. In pink the strong passion and power are toned down to subtler, feminine aspects. This is the color ray of determination, commitment, and caring. The subtle pink rays of Rhodochrosite are perfect for increasing commitment efforts. Rhodochrosite is a Seeker Builder Crystal. Seeker Builders are minerals that have the internal Crystal Energy Matrix of Seeker and the Earth Power of a Builder. 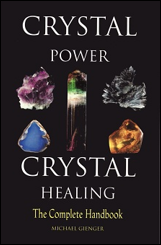 Their crystal structure has the power to help us focus our energy on gaining new skills, and their Earth energy helps us put together the new abilities and use them with other skills and knowledge to accomplish our goals. Commitment can come easier with the use of Pink Manganocalcite. Pink Manganocalcite is a Seeker Builder Crystal. Seeker Builder crystals are used to focus your efforts to achieve a highly desirable goal. Finding your true love, getting your perfect home, or having a financially secure retirement are all dreams that take a great deal of focus and energy to accomplish. It is a perfect aid for such efforts. It is also a "heart stone" that can cure fear, increase feelings of self-worth, and is helpful in soothing the soul after trauma. 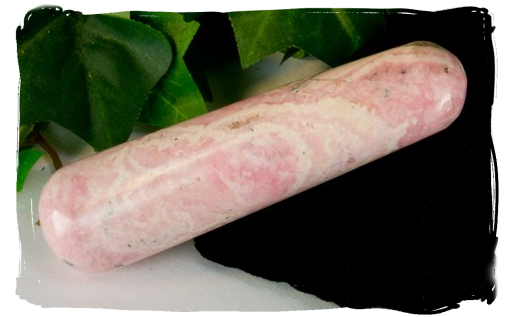 Pink Rhodochrosite crystals are primarily used for their Builder power by augmenting your personal strength, physical energy, and vitality to deal with the demands of the busy world. Other practitioners report that Rhodochrosite is a stone that is soothing to the heart and stimulates warm feelings of love and compassion. 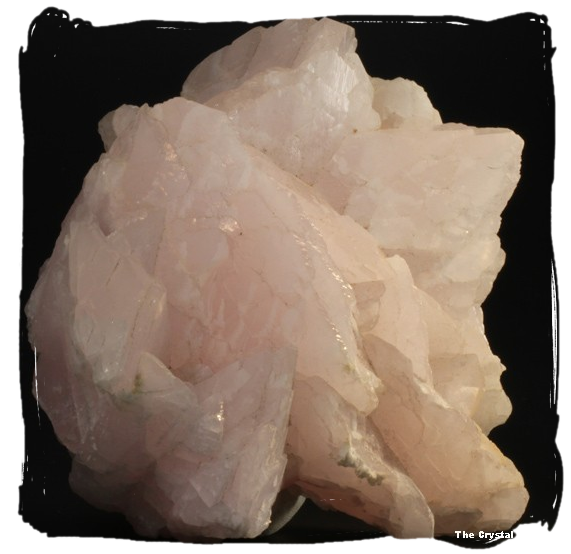 Pink Manganocalcite is good for healing the heart after arguments that are upsetting to your emotional well-being. This is a heart soothing stone. This stone allows your heart and mind to see the viewpoint of another. 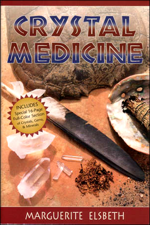 This is an excellent stone for the maintenance of the health of your emotional body. 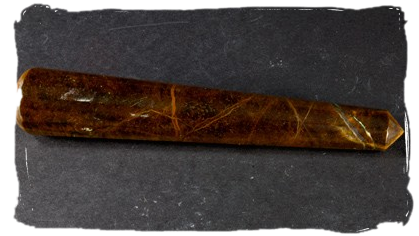 Marguerite Elsbeth suggests Tiger’s Eye which has strong energy to build leadership and authority. If you are seeking answers to your direction in life, use this pendulum. Tiger’s Eye contains the gentle grounding energy of earth. It is stabilizing and can help build confidence and increase one’s sense of security. Tiger’s Eye can help us to recognize our personal resources and use our abilities to attain our dreams because it is an excellent stone for developing and encouraging discipline and concentration, especially for children. Michael Gienger recommends Ruby which will aid you in finding new paths in life and giving you the energy you need to walk those paths. Ruby leads to joyful commitment to all social tasks. It makes us awake and aware in thought and action, able to perform well, active, courageous, impulses, and spontaneous. It also bestows passion as a driving force, but still prevents any tendencies towards self-destruction in its role as a life-loving stone. Naisha Ashian advocates Pyrite which is a "stone of courage" that will aid you to find creative ways to keep your life in balance. Pyrite encourages one to overcome fears and take action. It can be used to help bring one out of one’s shell and encourage one to be more dynamic and confident. It can be an ally in assisting one in taking action to create abundance in one’s life. Commitment is not always easy to obtain nor is it always easy to achieve. We may be looking to receive commitment from someone in our life or attempting to increase our commitment to activities such as our health, our career, or our goals. When looking to increase the feelings of commitment we suggest using pink crystals such as Rhodochrosite and Pink Manganocalcite. 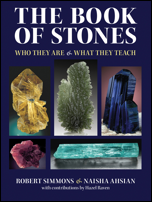 You can also try crystals that other authors recommend such as Tiger’s Eyes, Ruby, and Pyrite.